What a good year it has been for Cascade Brewing. First, a genius idea to capitalize off of their fantastic sour beers by opening the Barrel House. They found a great spot, and brew some mean sours. Sours I feel blow the rest away. Cascade Brewing truly creates my favorite sour ales. The Racoon Lodge has always been a cool spot in Beaverton. Many don't realize that that is the original, and still brew site of their standard beers. Beers in which I always felt were shy of the others coming about in Portland etc. Ron Gansberg and his crazy sour magic kind of saved the company I think. Just a guess maybe. Art Lawrence (Main man behind the Oregon Brewers Festival) is the owner and founder. Interesting story, and display of craft beer, and business over many years. 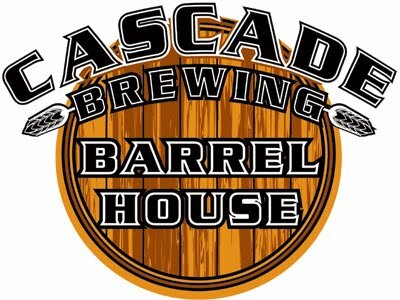 "The Cascade Brewing Barrel House - also known as "The House of Sour" - is throwing a party this weekend in honor of its first anniversary. Join us on Friday and Saturday from 2 to 10 pm each day for a celebration focusing on the barrels, the cellaring and the magic. On draft on the production side, we'll be serving the original blends of Bourbonic Plague ('09), Vlad the Imp Aler ('09), Beckberry ('10) & Noyeaux ('10). On the pub side, there will be a few select vintage live barrels on a special tap handle. Here's the part our sour fans have been waiting for: beginning at 6 pm Friday, we'll be selling 10 cases each of the original Vlad the Imp Aler and Bourbonic Plague from the Blenders' Cellar (this is about as rare as it gets, as only 20 cases of each beer remain in existence). Bottles of Vlad cost $27, while Bourbonic costs $30 per bottle. There is a limit of two bottles per person (this means only 60 people). If there are any bottles left on Saturday, they'll go on sale at 2 pm. Please note, many people start lining up early for these bottle sales. While we don't encourage that, we acknowledge it will happen, so we will begin issuing tickets to those in line beginning at 5 pm on Friday. When the bottle sales starts at 6 pm, those with tickets will receive bottles first. You'll be wanting a little food to soak up that beer, and we've got you covered. In addition to our delicious regular menu, our chef has come up with anniversary party specials including Buffalo Pastrami Sliders with Cambozola Cheese & Grilled Onion ($7) and Lamb Sausage Stuffed Grilled Endive ($7)." If you haven't tried a sour ale yet, Cascade's Barrel House is the place to go to try. You will be hooked on them like I am. I can't get enough, and have always said that when I die, I want my casket to be filled with Cascade Brewing's Sang Noir.